Oracle: I’d ask you to sit down, but you’re not going to anyway. And don’t worry about the vase. Oracle: I said don’t worry about it. I’ll get one of my kids to fix it. Oracle: Ohhh, what’s really going to bake your noodle later on is, would you still have broken it if I hadn’t said anything? I can’t believe I’m saying this but 2018 is a month old already and Valentines Day is just around the corner. If you’re looking for a twist on giving a bunch flowers this year, why not give a paper origami flower bouquet in a traditional origami paper vase? I already have a post and video instructions for making some traditional Origami Tulips, so now here is a vase to put them in. This classic vase design is known by several names, but usually as an Origami Chinese Vase. Although it looks quite dramatic, this origami paper vase is a lot easier to make than it looks! Like all traditional origami models, this is a pretty simple origami vase to make. It takes a bit of patience to do the precreasing. You start by folding a 12x12 grid and that always needs accurate folding. 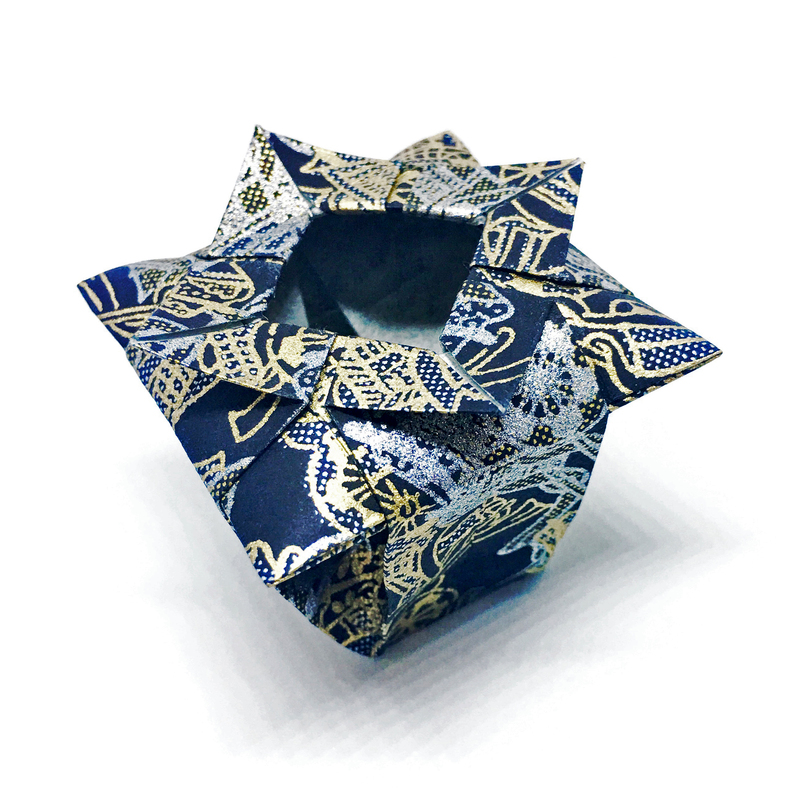 There are no complex manoeuvres in this origami vase model – not even so much as a reverse fold. The step that forms the shape of the vase towards the end takes a little patience and belief that the paper won’t rip, but that’s it. It takes about ten minutes to fold this easy origami vase. Most paper types will do for this origami flower vase model, although something slightly thicker will work best and produce a more robust model. I used traditional origami washi paper that I received as a gift to make the vase in this post and I really am pleased with how it came out. I’ve made a video tutorial showing how to make this origami vase. Grab some paper and check out the origami vase video below, or click the link for my YouTube channel. I’d love to hear your views on this origami vase. If you are looking for other origami models to fold for Valentine’s Day, you might want to try Home is Where the Heart Is or the Origami Valentine. Feel free to let me know what you think in the comments below, or you find can me on Instagram or Twitter. Check out my Pinterest boards too! Amazing! Will definitely bookmark this and try it out! Thanks. Let me know how you get on!